Today has been an interesting day. To begin at the beginning, we were on our way out the door ready to hit the road when… wait, something was wrong with my shoes. They looked odd, deformed, and… curled. We keep our shoes by the door, sometimes in their proper places, sometimes just thrown by the door depending on how tired we were when we last entered our RV. Also by the front door, is a furnace vent. Apparently the rapid heat and cool cycle of the air coming from the furnace vent – shrank my Crocks! My favorite go-to-travel shoes, were suddenly at least half a size too small (and curled at the toe). We were all ready to depart, travel accessories for the day in-hand (drinks, snacks, Frodo was leashed). Argh. And I had to find a different pair of shoes. Most importantly, our Airstream killed my Crocks! They were the ones with the awesome fuzzy liner. Insert sad face, I am quite sad. I will absolutely replace those as soon as I either find them in person, or we stop long enough for me to shoot off an order to Zappos. After the shoe incident we were on our way. 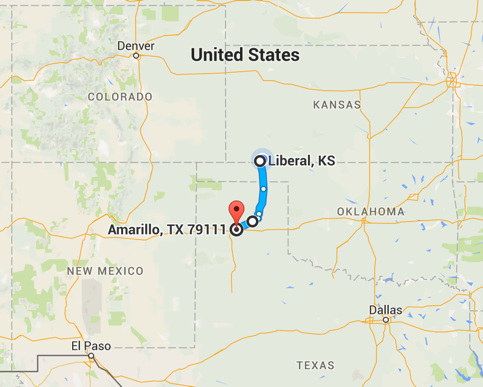 Today’s journey was a quick jaunt through the panhandle of Oklahoma, and the panhandle of Texas. We saw hundreds of windmills, perhaps even a few thousand. I didn’t realize wind energy was being utilized to such a degree in the U.S., and it’s neat to see. In fact, I have now seen wind farms in Kansas, Oklahoma, and Texas. There are families who travel full-time and home-school (aka “road school”) their children, and for those families who can pull that off – what an amazing experience that must be! Even in our speedy migration we are still getting to see things that spark interesting thoughts and conversation. But, back to our journey. We took a lunch break somewhere in the Texas panhandle, and I have an important tip to share. 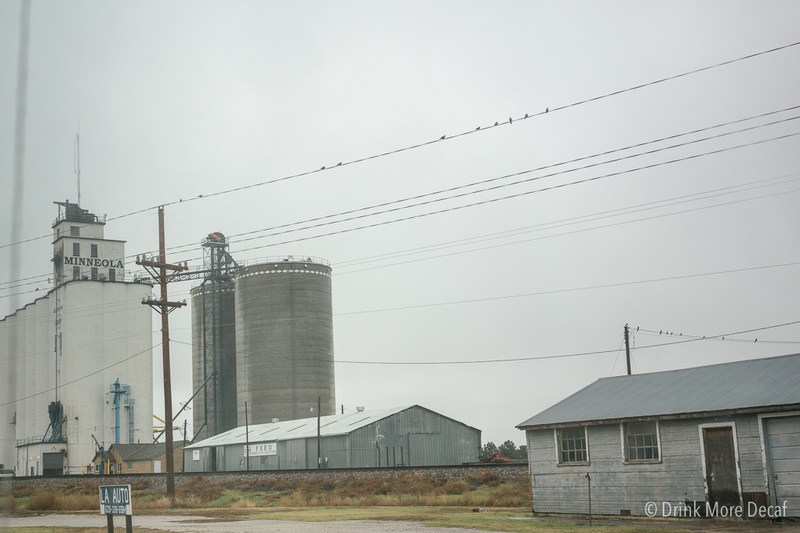 When driving through Texas, if you see a pile of mud – avoid it. It likely isn’t mud. Sure enough, we have manure in the wheel wells of our truck and under the belly of our Airstream. Fantastic. It smells just lovely. I think we will be migrating some more tomorrow so if we do, we will attempt to get the Truck and Airstream washed. There is a Blue Beacon Truck Wash down the street from where we are, so it looks like we’ll finally get to see how that works. As we drove past it tonight we saw a very long line there, so adding that to a travel day means we probably won’t travel too far, perhaps only an hour or two away. We’ll just see how things go and how long it takes to give our rig a (much-needed) wash down! We saw the Blue Beacon Truck Wash while we were on our way back from Petsmart in Amarillo. We have been so busy the last few months, we somehow almost completely ran out of dog food for Frodo! 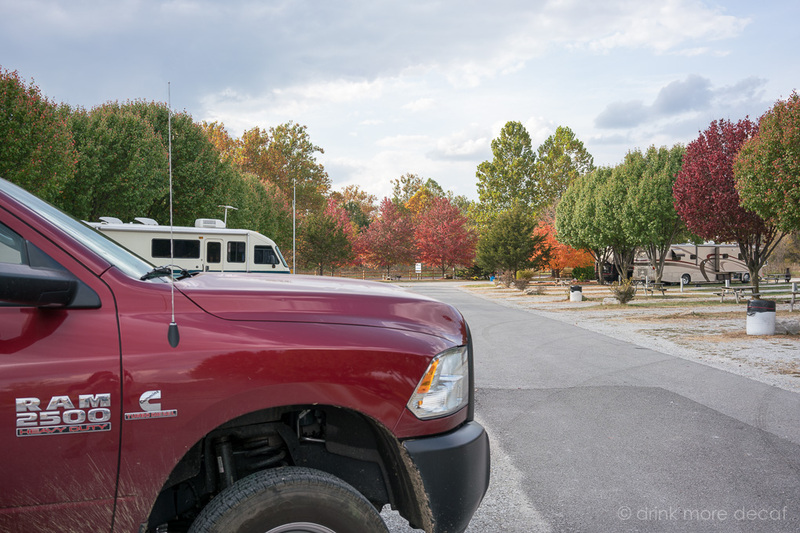 Dave and I both mistakenly remembered having the rest of his food bag in the truck – and – we were both wrong! Lucky for us, they had his food in stock and he will continue going on well-fed as usual! Phew, that was a close call! It is! 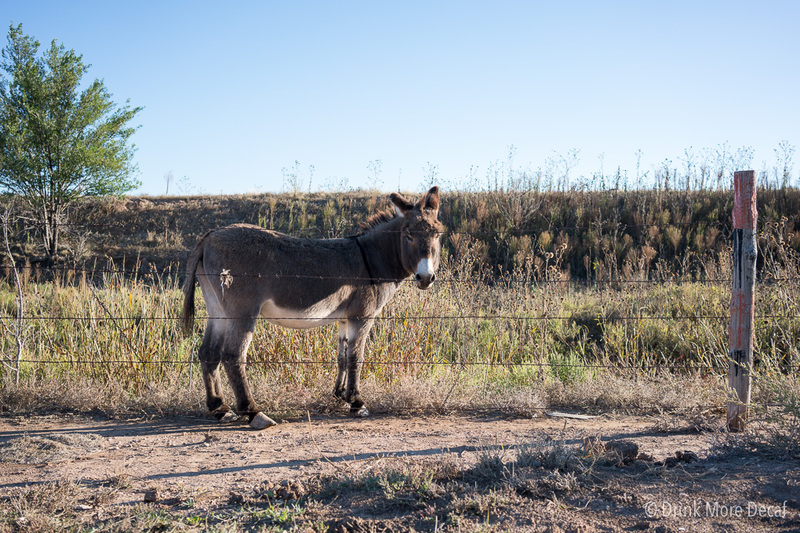 How about that, a Donkey! 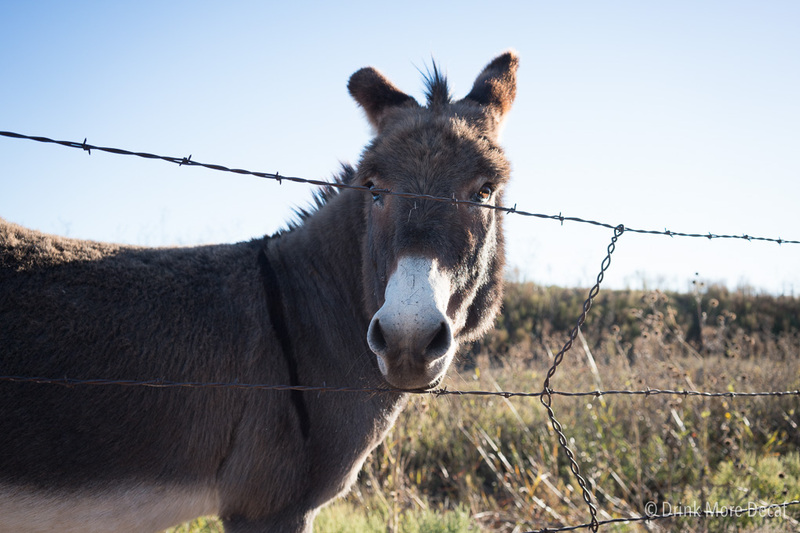 And the Donkey has a cell-mate, an Emu! 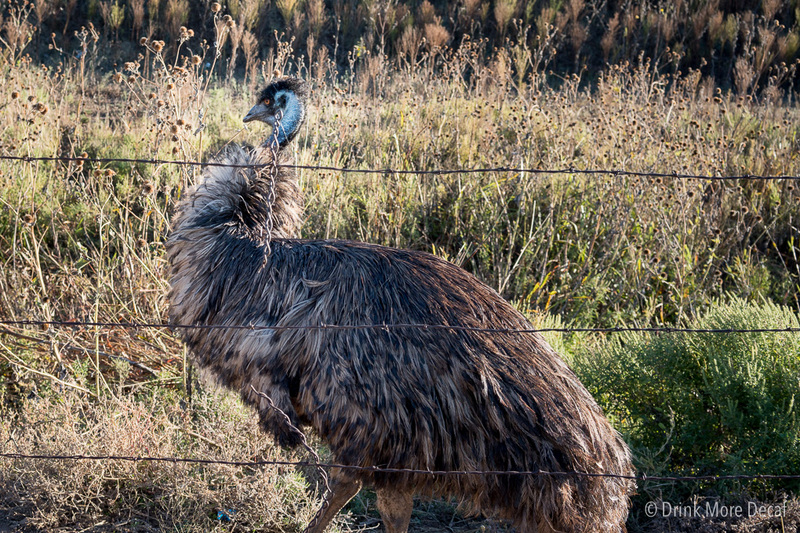 The Emu wouldn’t stop pacing so this was the best shot I could get. Interesting. A Donkey and an Emu. Go figure! Today’s journey was about making as much progress south/south-west as we could go in a day. Traveling the way we do only allows us a few hours to drive each day so we’re making the best of what we’ve got! Once we get to better weather, we will slow down considerably and explore an area in detail. For now though, we migrate. 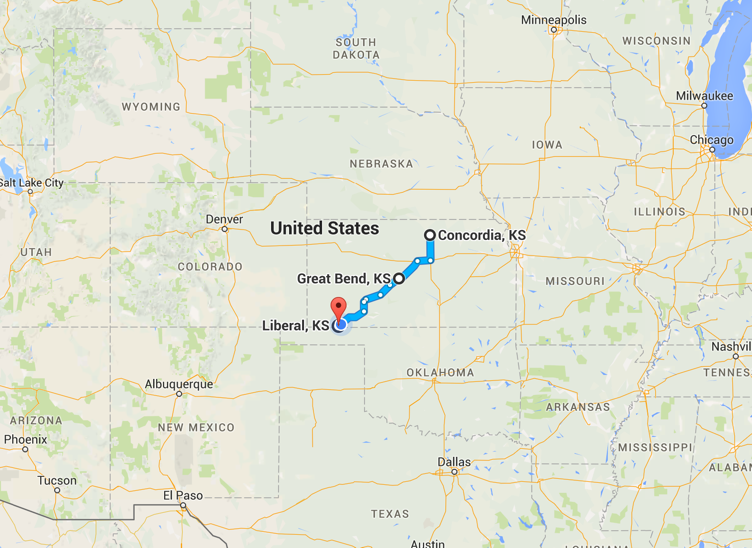 We awoke in Concordia, Kansas, and we’ll be spending the night in Liberal, Kansas. With almost 5 hours of actual driving time, plus added stops for a hot lunch (in our RV), bathroom breaks for us and Frodo – it was an incredibly long day. 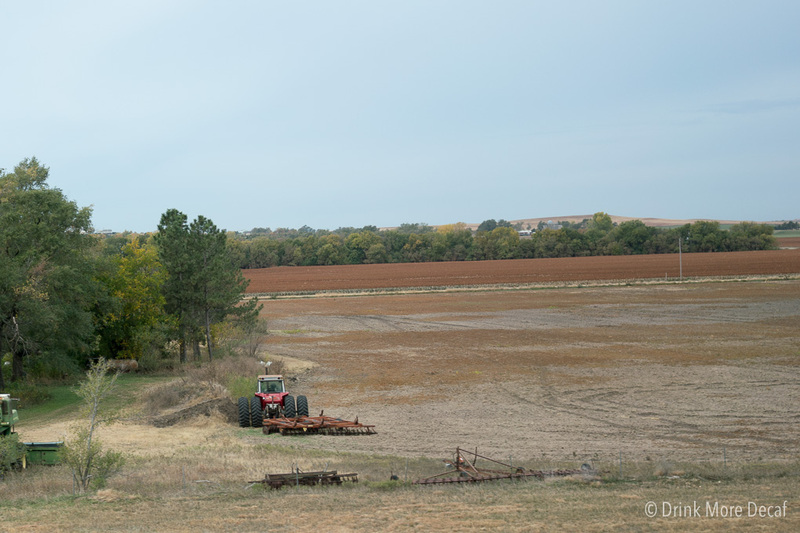 There was a considerable amount of farm land. Acres and acres and acres of it. Every so often there were some things to look at besides flat land, though I do appreciate being able to see miles into the distance. And of course taking photos from a moving vehicle is always a fun challenge! Frodo loves seeing wide open land. When driving through cities, he tends to nap, but with open land – he’s active and engaged and can’t stop staring. 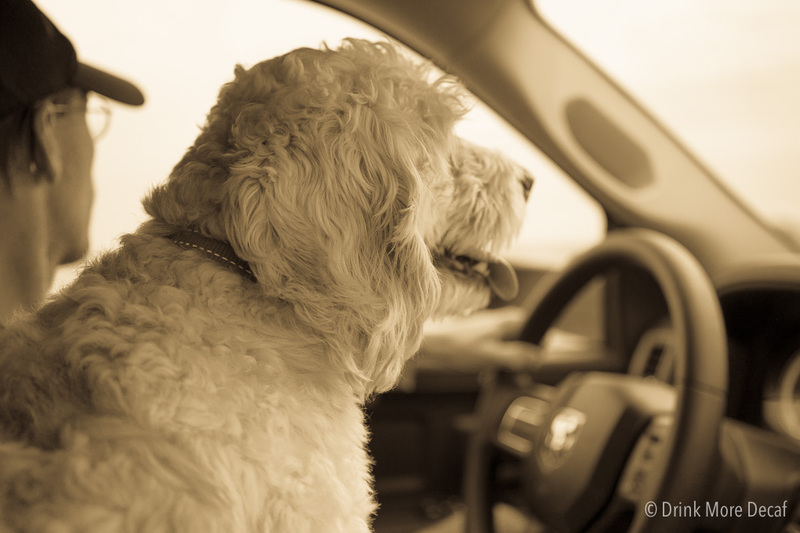 He loves getting to travel and is always happy to jump right back in the truck – even after a long day. Tomorrow we journey on, destination still to-be-planned. We are however almost out of dog food, so that will be our mission for tomorrow! 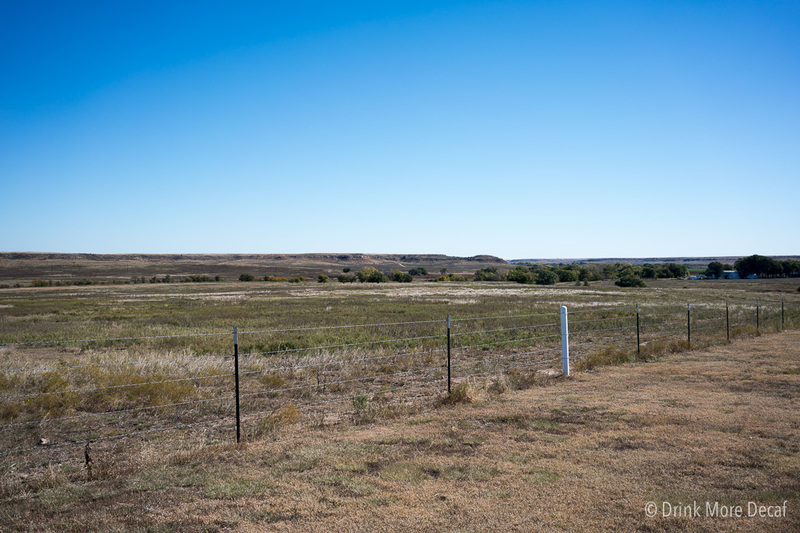 Can you believe there are places where no PetCo or PetSmart exists for 50 miles? 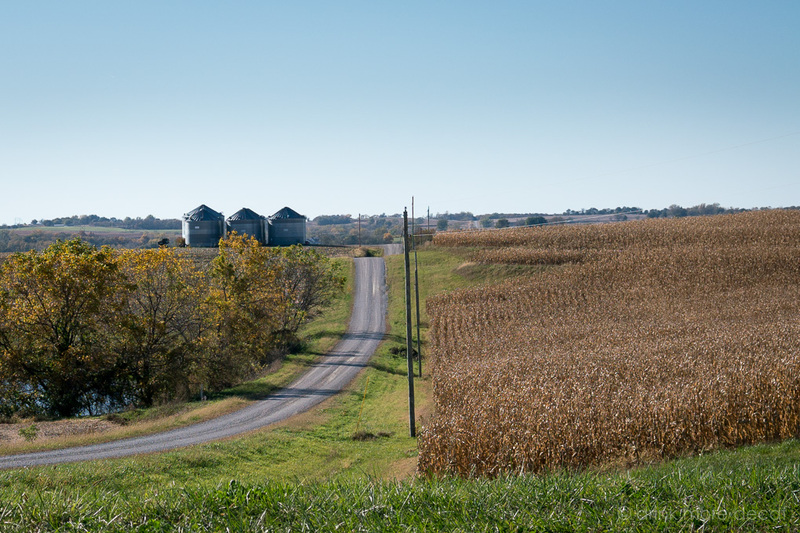 Yes, we’re there now – in the middle of nowhere Kansas, I mean, Liberal. Right! P.S. If you have ever played World of Warcraft and been to Westfall, you’ve seen Kansas! We did it. We really did it. 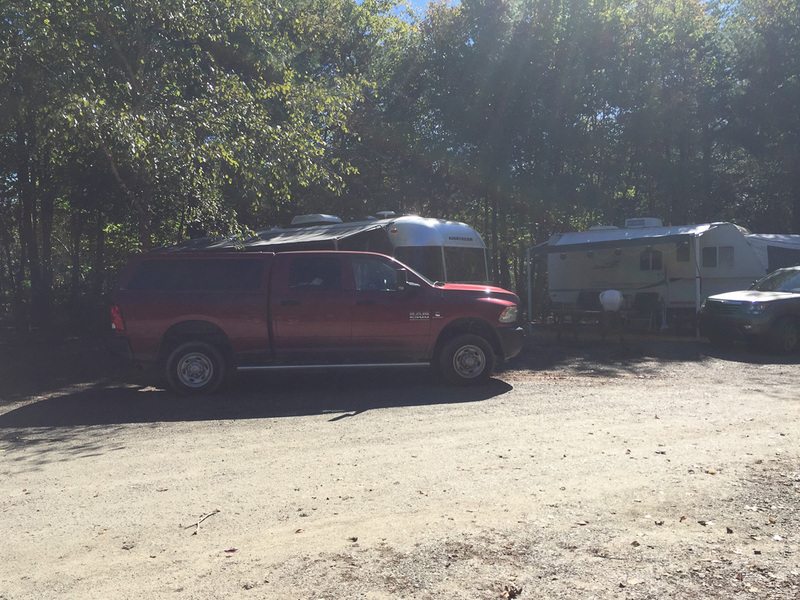 We sold our house, 90% of our belongings, moved into a travel trailer, and migrated NORTH at the start of Fall to make everything legal. We are officially South Dakotans now – woot! My head still spins at the thought of how fast we pulled off this crazy plan. And of course, we work 7 days a week. That part definitely adds to the exhaustion, but everything we are doing is absolutely 100% worth it. 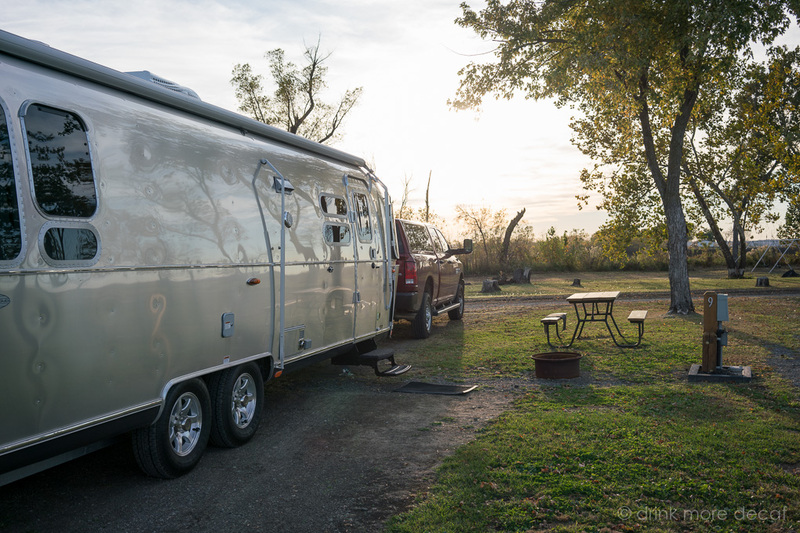 Because South Dakota is a friendly state for full-time RV’ers, we don’t even have to worry about registering our truck or RV right now. We can do that later in a few weeks, remotely. Yes, that’s right! 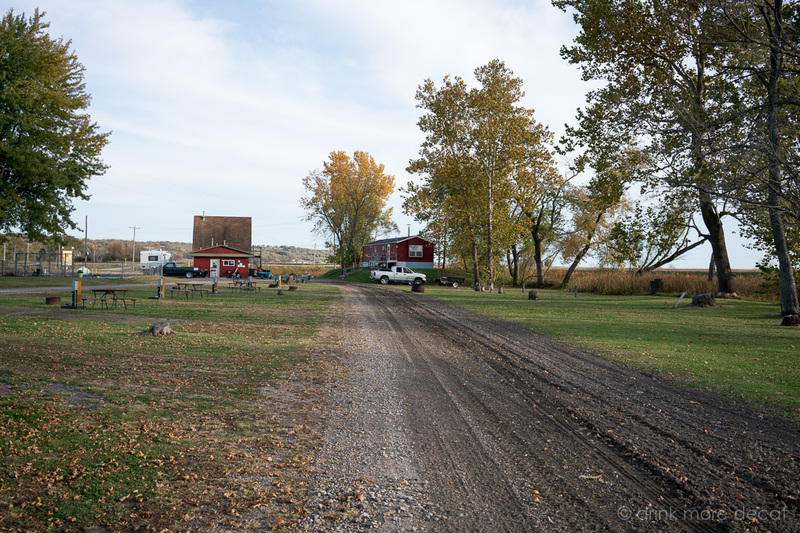 Neither we, nor the vehicle(s), need to be present to complete that part of the moving process (this is yet another reason we choose South Dakota for our Domicile). South Dakota is awesome. 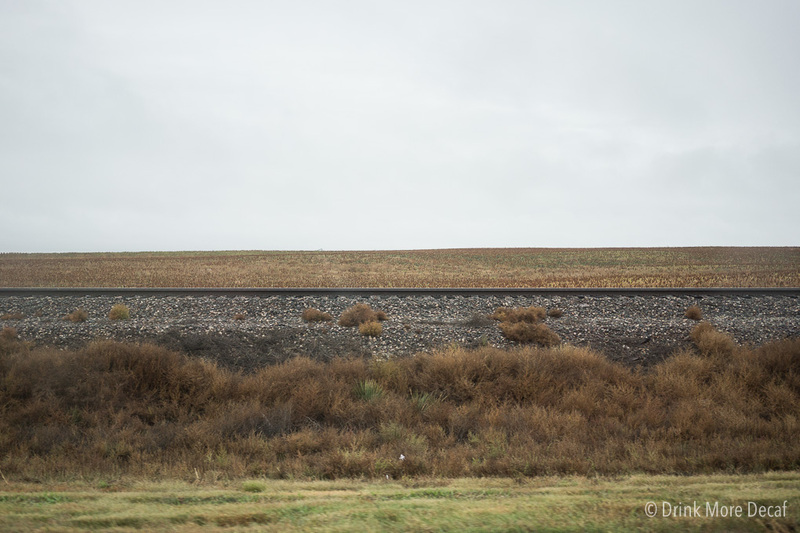 It’s also very cold right now, so we left this morning and are spending the night in Concordia, Kansas. Tonight we are resting at a very tiny Campground at the Airport in Concordia. There are only a few spaces here, but they provide water and electric at a few of them – and it’s FREE (there is a donation box and donations are happily accepted). Oh, and there’s even a fenced in dog park! 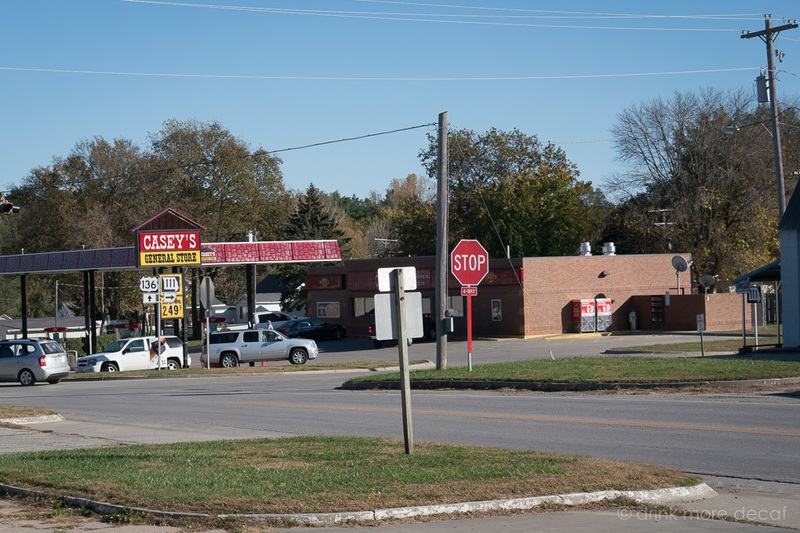 If you’re nearby and want to check it out, you can map to the Super Walmart across the street (140 College Dr, Concordia, KS 66901) and you’ll find it. 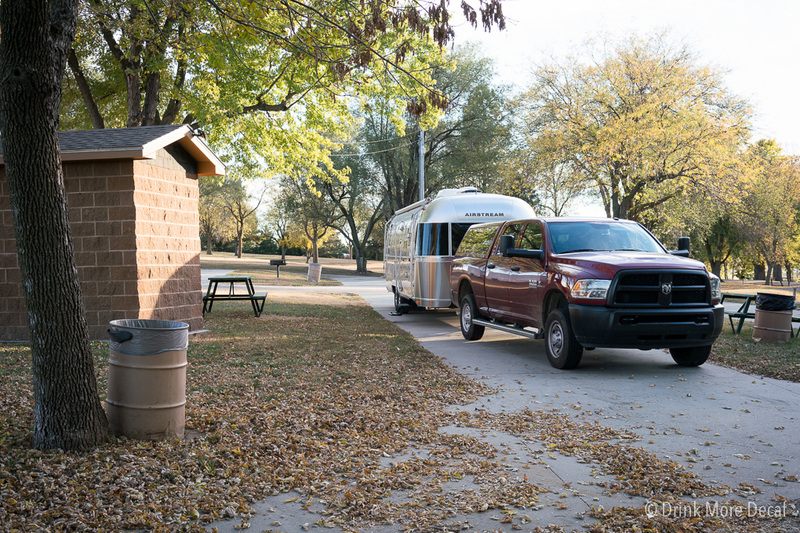 Because this campground is a simple, clean, and FREE place to stay, it’s a great resource if you’re passing through – especially if you need to restock anything since Walmart is here as well. The temperature is dipping into freezing temperatures again tonight, even here, so in the morning we head out again and continue our southern migration. Cheerio! 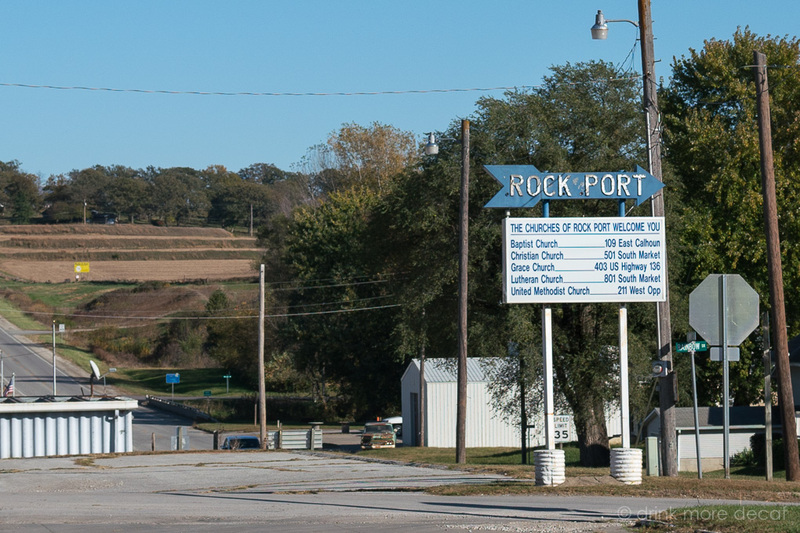 This afternoon, Dave and I took a work break and drove around Rock Port, Missouri. 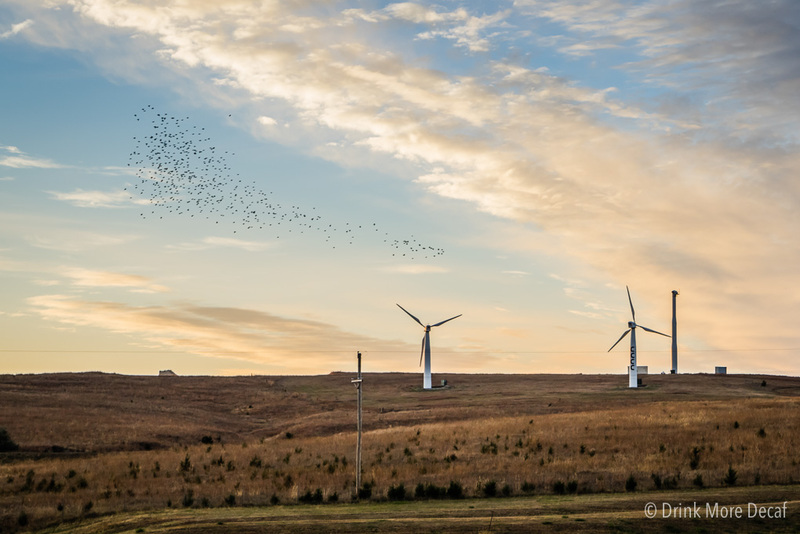 It was absolutely gorgeous outside, and the wind turbines were gently… generating power. 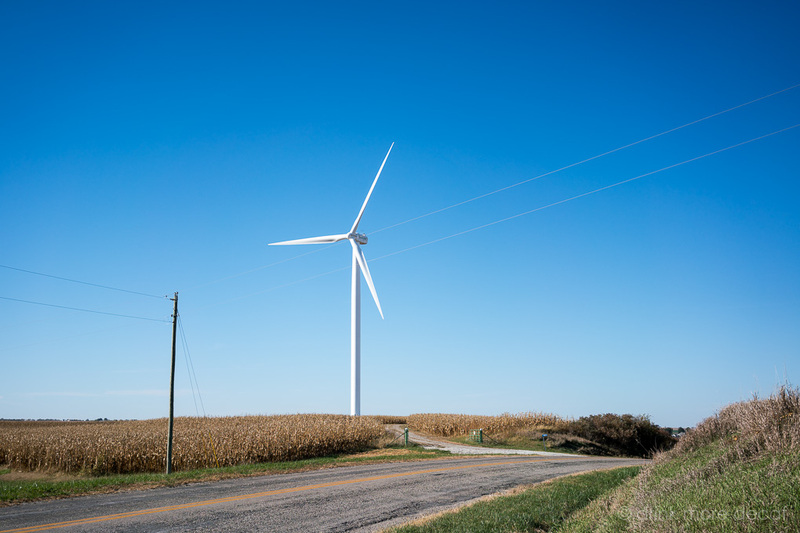 As it turns out, Rock Port was the first city in the United States to be 100% wind-powered! How ’bout that? This is an agricultural area and everywhere you look there is land being farmed. No small town is complete without a General Store. And as many folks know, small towns come with (many) small churches. Every time we explore I spend part of that time with the camera down. I like to just take things as they come and experience being in the place where I am in that moment. I didn’t realize that my camera-free time was when we were in Nebraska! Oops! While in Nebraska we saw the Fort Calhoun Nuclear Generating Station, which made us immediately wonder about the flood that occurred here in 2011 and what happened to the Nuclear power plant. You can read about that here. Dave thinks Nuclear power plants are interesting, as for me, they make me nervous. That covers it for Rock Port! We reach a new location tomorrow. Cheerio! We are in for the night, currently in Rock Port, Missouri. Today’s driving time ended up being close to 4 hours, which is much longer than we would normally go in a day, but it made sense for today. We took a break for lunch, later needed a fuel stop and some DEF, then yet another quick rest break and finally – we are in for the night. Somehow our time on the road clocked in at close to six hours, not including departure/setup times. Travel days are long days no matter how you slice it! Even after a long day, it was really nice to walk around and take photos once we got here. And it’s always fun to watch Frodo explore a new area. This dog was meant to travel, he’s having the time of his life! Tomorrow we plan to check out the area where we are and see if we can get a taste of life here. From the little I’ve seen, it looks like a neat place! We’re in for a cold night, so send some warm thoughts our way! 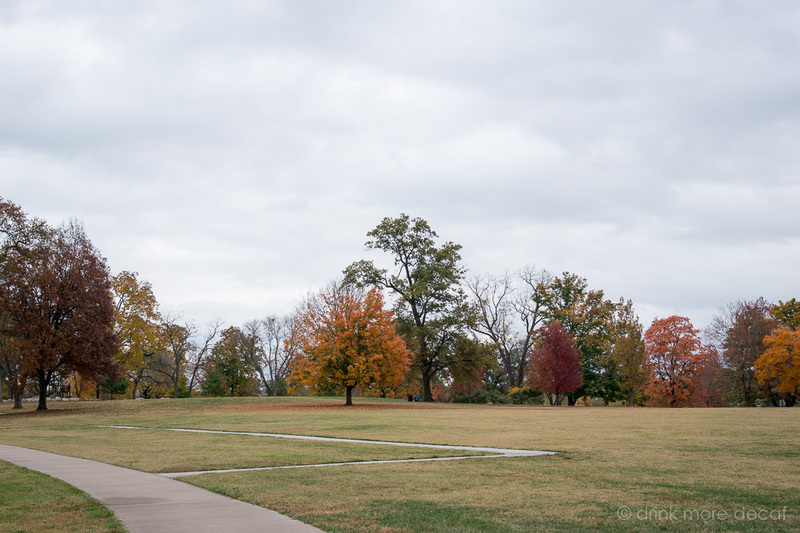 Today it was rainy and overcast in Columbia, Missouri, but in between a grocery and fuel run – we did manage to check Columbia out just a bit! 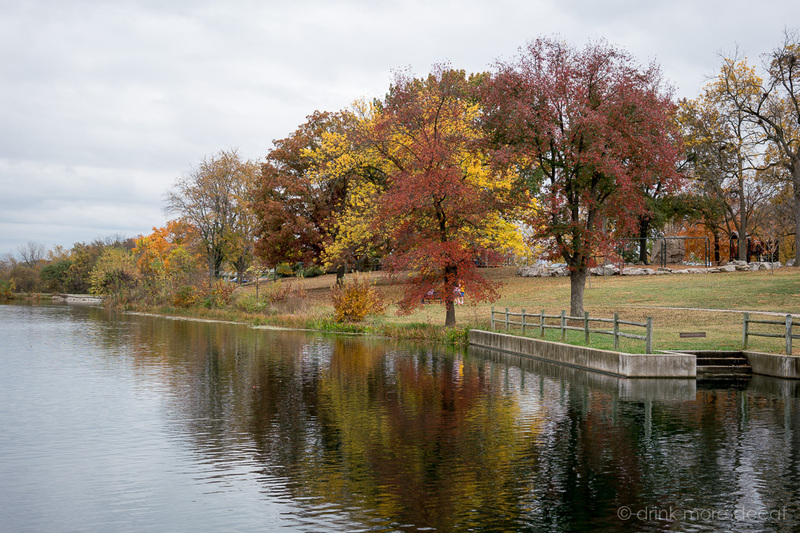 We’re both tired and run down, but we drove by Stephens Lake Park – so of course, we HAD to stop so I could take some photos! I’m so glad I did! 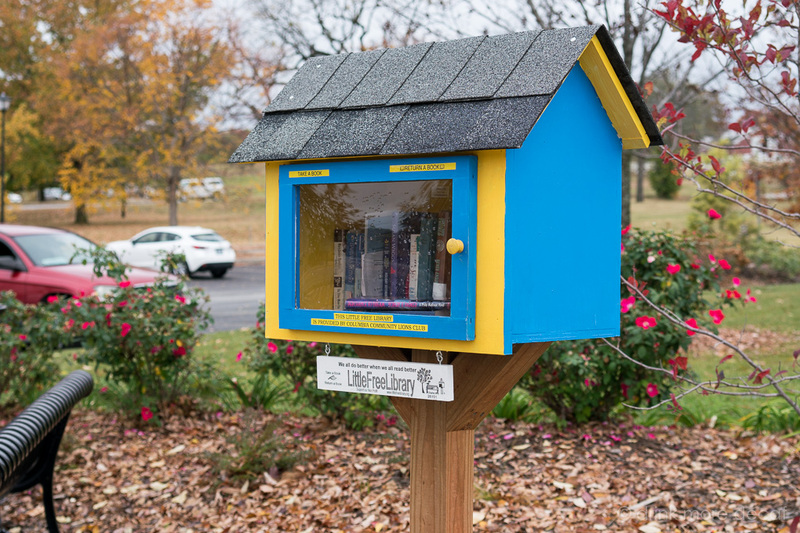 For one thing, I saw for the very first time ever in real life, a Little Free Library! Well hello Columbia! What a nice way to greet me! 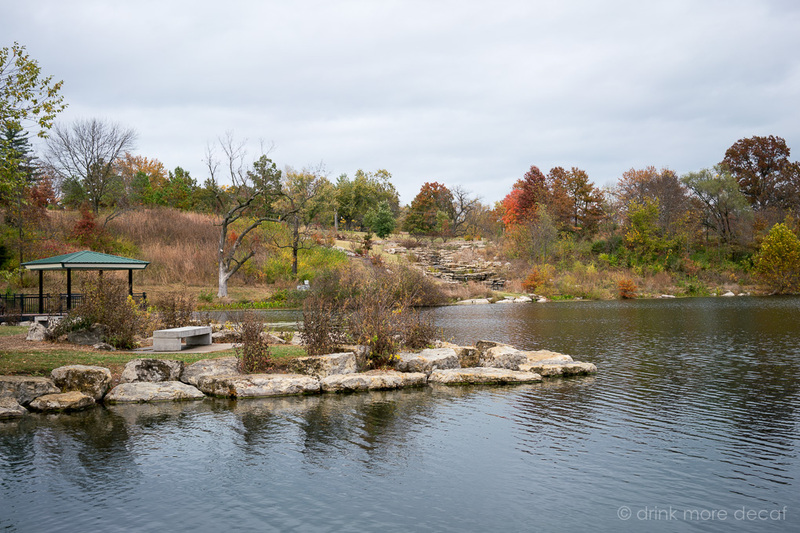 Stephens Lake Park is a beautiful place. There were people walking, running, and biking, and a few folks were there to walk their dog. 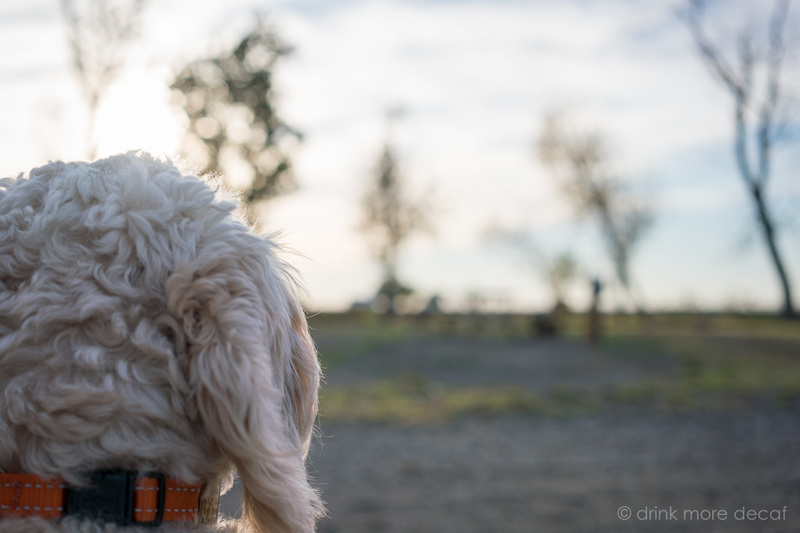 From the perspective of traveling with a dog, it is an excellent place to go hang out for a bit with Fido (or in our case, Frodo)! The park has a great sidewalk (super handy after a day of rain! ), and trash containers never too far from reach. I didn’t notice any doggie-bag stations if they have them, but we always have those with us anyway. The park not only had trash cans sprinkled about, they also had recycle bins! Lots of them! In fact, I noticed there were also recycle bins at the gas station, as well as clothing donation drop-off bins. Yay Missouri! What a nifty place to take in the Fall colors! Just a quite note about the grocery store. I shopped at Hy-Vee, a grocery store chain I have never heard of before and I thought it was important to mention what I found. HEALTHY FOOD! I’m adding those note so I’ll remember, but if any of you out there have dietary restrictions, this store (at least the one in Columbia) had great real food options. So if you are one who cooks from scratch, or reads the label carefully on anything that comes in a package, be sure to check out Hy-Vee, you may find some great snack options! That’s all from here! We hit the road again tomorrow. Cherrio! 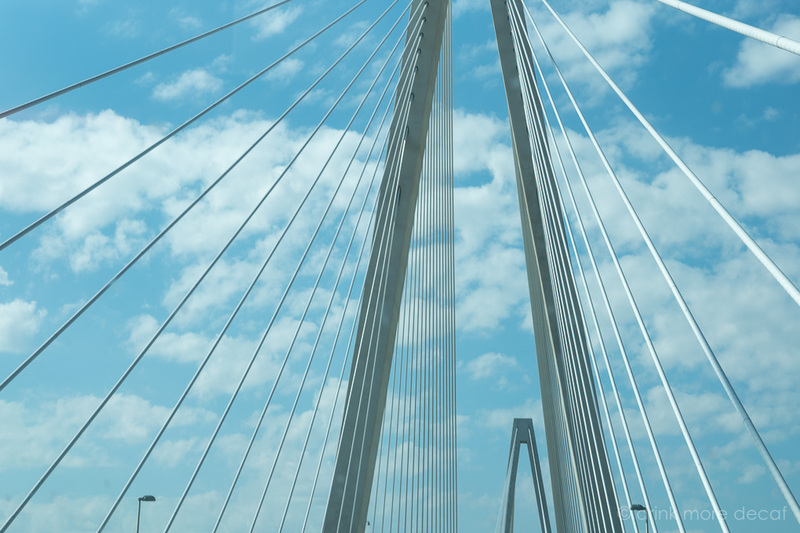 This photo was taken just as we were passing over the Mississippi River (St. Louis, Missouri). I am very happy I was able to catch this – the road was really bumpy, and our windshield was full of dead bugs. Note to self: clean windshield asap! I am always impressed when I can take a photo from a moving vehicle, given the bumpiness of the ride, this photo is quite impressive! Tonight we are resting our heads in Columbia, Missouri and hope to be able to grab some photos of the area tomorrow. This is a beautiful area, however, it is expected to rain all day tomorrow. We’ll at least have to make a grocery run so I will take any opportunity I can to get some photos. I look forward to the part of our travel when it becomes true travel and not rushing from one point to another. We’re almost there though – the light at the end of the tunnel is near! Yesterday we arrived, tomorrow we depart, so there hasn’t been much time to do much besides take a quick breather and do some planning. We’re heading to South Dakota to get our Driver’s License as part of declaring SD our domicile state – and we’re in a hurry. Winter is Coming. During the day we’ve had gorgeous weather, but it’s dipped into freezing temperatures the last few nights here and at our previous stop. We made a last minute run out tonight to Home Depot to create some make-shift insulation to add to our large bedroom window. If it works, I’ll explain in detail what we did. If it doesn’t, well, let’s just hope it works. I’d like to sleep through the night and not feel like there is a Dementor trying to sneak in beneath the window. We only have one more week of total craziness with our fast travel pace, and then we will finally take a much needed rest. 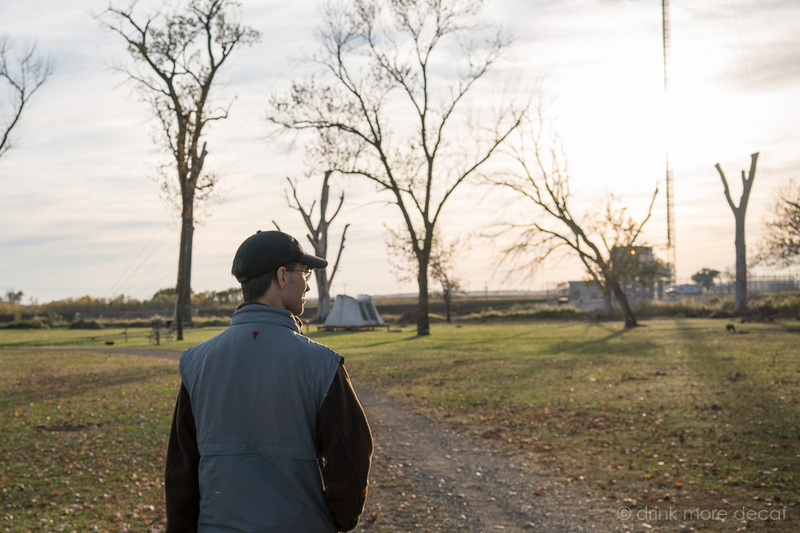 After we complete our tasks in South Dakota, we haven’t decided where to go next. Apparently though, it will need to be some place warmer! 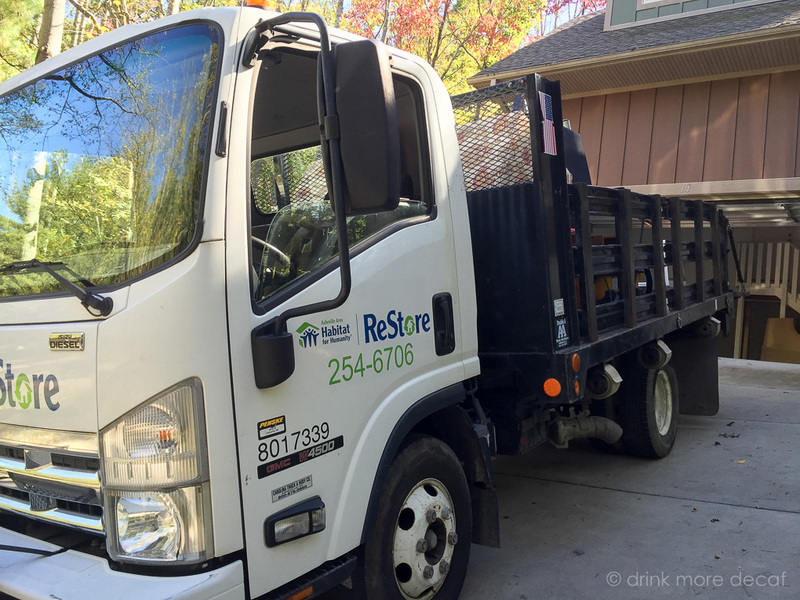 We began downsizing in July and have been moving at a rapid-fire pace since then and I am exhausted. Dave is exhausted. I don’t really care where we go after South Dakota as long as we can stay there a week and catch up on some food, sleep, and rest. Though tiring, the last few days have also felt like breath of fresh air. I love being near the ocean. I love being in the mountains. And I LOVE a wide open big beautiful blue sky! 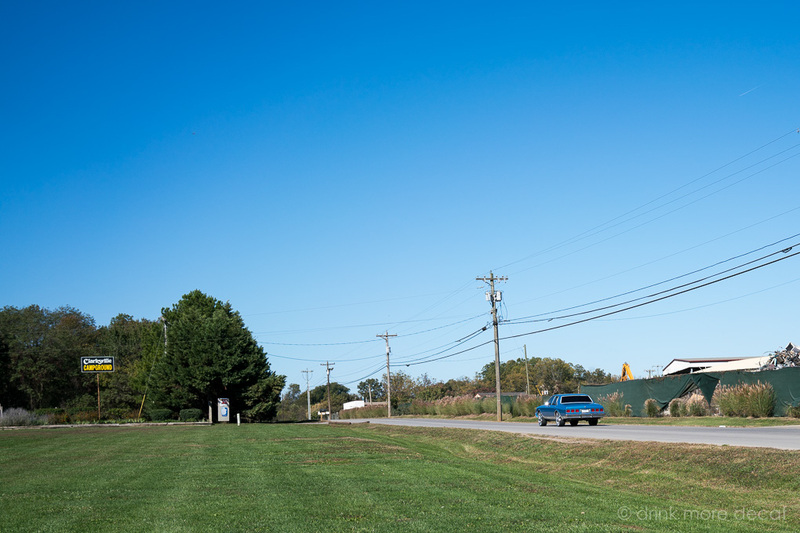 As we left the mountainous area of North Carolina and Tennessee and entered flatter land and open views, it felt amazing – like a weight was being lifted from my shoulders. Apparently, I love change. Me?! It’s fun learning things about yourself at 40! Wait – Was That Today? This evening I sat down to review my photos from today for a quick review of the day’s events, and saw the photo I took early this morning while we walked Frodo. At first I was fondly remembering what a nice day it was yesterday, until I remembered that I took that photo TODAY. Have you ever had one of those days where you can barely remember what you did? It’s been nice lately using my camera roll to keep up with what we’ve been doing – there’s just been so much! After work today we had an appointment with Habitat for Humanity to pick up some miscellaneous furniture and odds and ends from the house. As it turned out, one of the guys on the pick-up team took a cross-country trip several years ago and has been to all 50 states – which is rather impressive! We’ve met many people recently who would love to travel but I believe he was the first person we’ve met who has done it and he had some cool stories to tell us! Once the Habitat for Humanity pick-up was complete, we finished some last minute cleaning (which reminded me again how much I prefer Tiny House living and will NOT miss a “sticks & bricks” house AT ALL) and then headed to one of the local Pawn Shops for our final sale-run. Yes, we finally reached that point. We have nothing left to sell or donate! With that complete we had dinner, Frodo got another walk, and I sat down to tally some numbers. In three months we have down-sized from 2,200 square feet to 240 square feet, and sold or donated more than 90% of our possessions. In the process we have met many amazing people in the community, helped out several individuals working to reach their goals, and, liquidated enough of our belongings to make a huge contribution in the financial impact of what we’re doing. I’m really happy with where things are ending up as we wrap up our stationary lives. The biggest lesson I have learned from everything we have done so far is how much of a physical drain belongings can be, and the decisions involved with what to do with them when you finally decide that you do not need them. Wow. It can be debilitating. I have a much better understanding about minimalism, Tiny House living, and why various people wear uniforms (simple repeating outfits) to reduce decision making. The itty bitty meaningless decisions you make everyday DO add up, and they DO wear you out. When you make a few hundred decisions in a day it probably isn’t noticeable but if you need to make a few thousand decisions in a day, it makes a huge impact. Though I have never considered myself a minimalist, I now realize I will always be striving to work toward becoming one. It seems like a process that will be ongoing, and something I need to do for myself for my own peace and happiness. I’m sure I will write more about the mental and psychological aspects of this decision in the future, I’ve had a lot to think about and very little time to write!